The State of Georgia is home to several varieties of pine trees. The list of trees includes pines such as the Fraser fir, table-mountain pines, shortleaf pines, pond pines, Virginia pines and several others. Some common pines and characteristics include those discussed here. The loblolly pine (Pinus taeda) can reach 120 feet in height, but is normally between 40 and 70 feet tall. Loblolly pines prefer full sun and do not tolerate salt. They are propagated by seed and are hardy in zone 7. Slash pines (Pinus elliottii) grow up to 100 feet, and grow rapidly. They prefer full sun on a wide variety of soils, including wet areas, and are moderately salt tolerant. Slash pines are propagated by seed and are hardy in zone 8. The longleaf pine (Pinus palustris) is distinguished from other pines by its very long needles, which can be 14 inches. Though the longleaf can grow to 100 feet, it is usually found in shorter versions. Longleafs have a moderate growth rate and are hardy in zone 7. This pine prefers full sun and grows on a wide range of soils and is not salt tolerant. Longleaf pines start out as slow-growing trees for the first three years and do not transplant well unless they retain a large root ball. Propagation by seed is successful with the longleaf. The spruce pine (Pinus glabra) has dense foliage and is profusely branched. It grows up to 80 feet, but is usually seen between 30 and 50 feet. Spruce pines have a moderate growth rate and are hardy in zone 8, propagated by seed. Pine trees in Georgia have many uses, whether for lumber or for use in the landscape. Slash pines are mainly used for lumber, and spruce pines, with their short needles, have a commercial usage when grown for cutting as Christmas trees. Some of the pine varieties are useful as focal points in the landscape and are referred to as specimen plants. They also provide shade and the needles they shed are useful as mulch for surrounding plants. Carefully preparing a planting site will reduce problems with growing pines in Georgia (or any other state). A variety's hardiness is reflected in the zone it can be grown in. Most of the native trees throughout the entire state of Georgia are hardy. When not propagating pines by seed or transplanting seedlings, the trees should be transplanted with a well-established root ball. Large Georgia pines are often difficult to transplant because of their large root system. Pruning is not usually necessary with pines except in the case of shaping for the look of a Christmas tree or if dead branches are present. Most pine trees are easily propagated by seed. 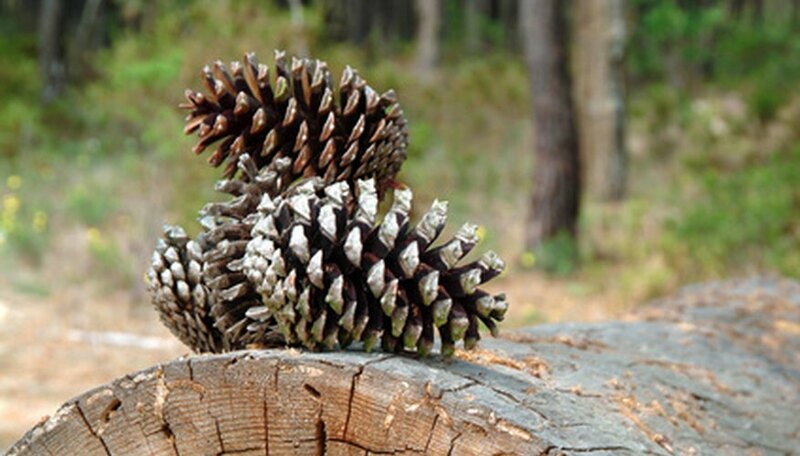 Remove the seed from a partially opened pine cone, place the seed on the soil and cover with pine needles. As with any landscape, the guidelines for planting pine trees with success is the same. Choose plants well adapted to the climate and local conditions of the site. For ease of maintenance, all plants grown in the area should have similar growth requirements. Soil, level of sunlight required and access to water are all important aspects to consider when growing pine trees in Georgia or elsewhere. Georgia soil, for instance, can be very high in clay content. Though soils high in clay tend to hold nutrients well, they drain more slowly than other types. Amending the soil with compost may be needed to lighten it and improve its ability to drain. Insect infestations from pine bark beetles and pine engraver beetles are a concern in Georgia, and diseases such as brown-spot needle blight, pine blister rust and fusiform rust are problematic for pine trees in the region. 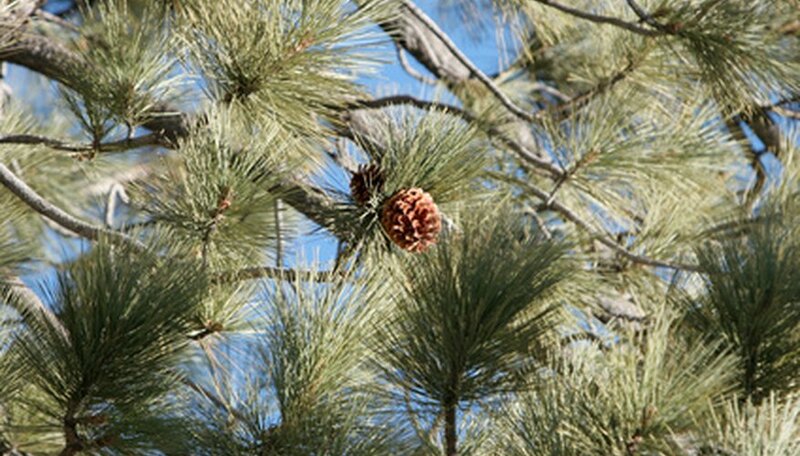 Finding pine trees for planting can be as easy as looking for pine cones of the correct species and planting their seeds, and bare-root transplants can be found through local and mail-order nurseries. Various seed company catalogs offer many varieties of saplings, and local county extension agencies will provide resources for locating native Georgia pine trees for establishment in the landscape.